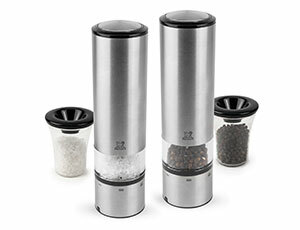 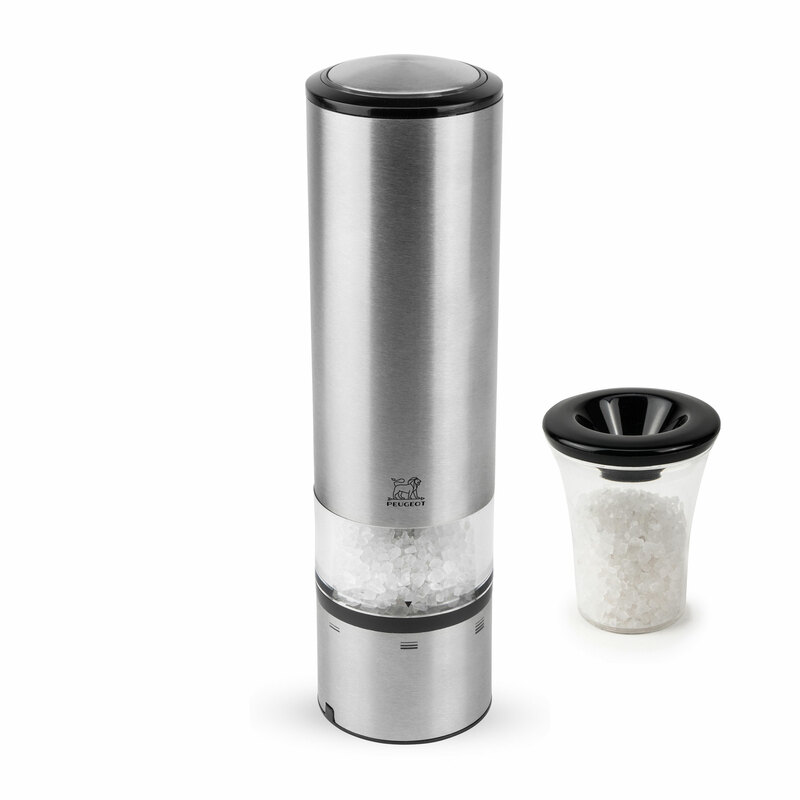 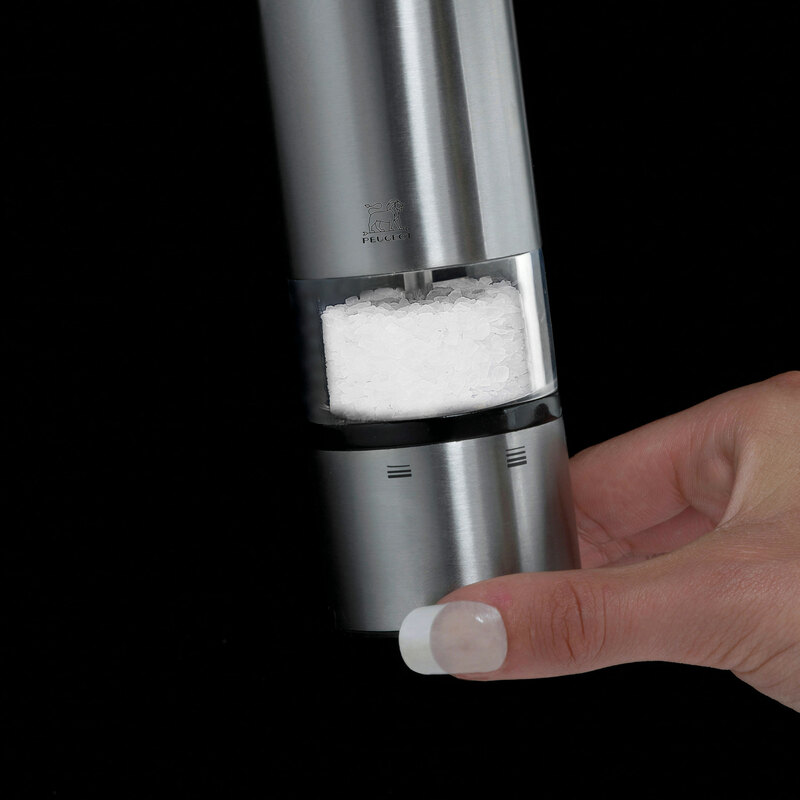 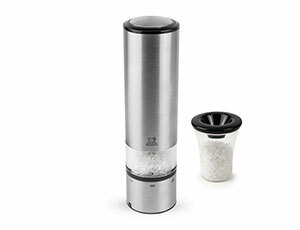 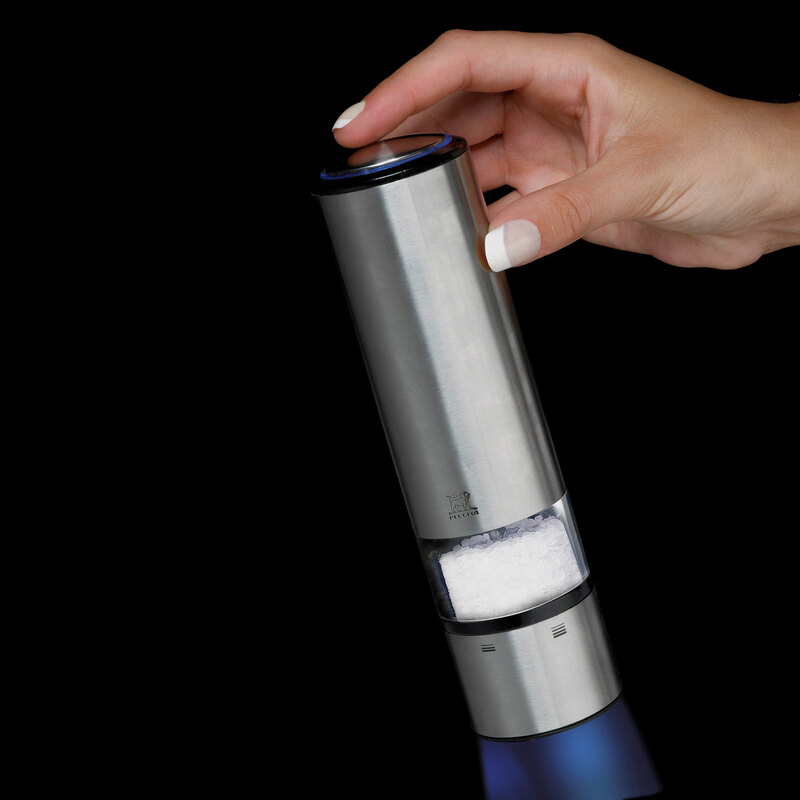 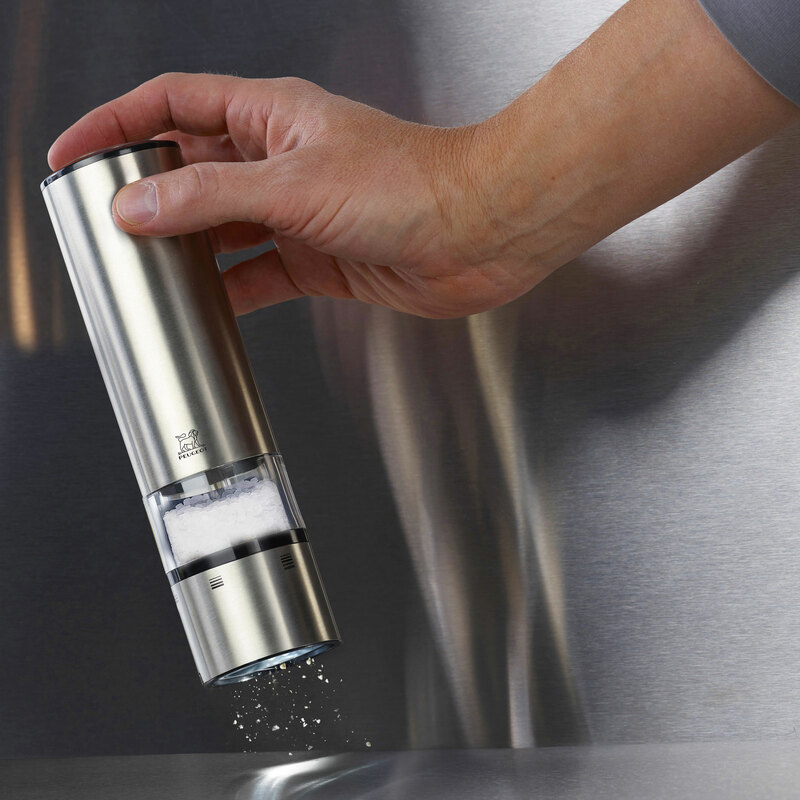 The Peugeot Stainless Steel Elis Sense Electric Salt Mill Mill features a faster, quieter and more efficient motor. 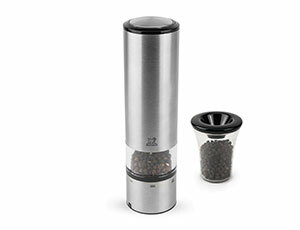 The LED lights replace the former light bulbs and also illuminate the mill when in use; and introduce a tactile switch. 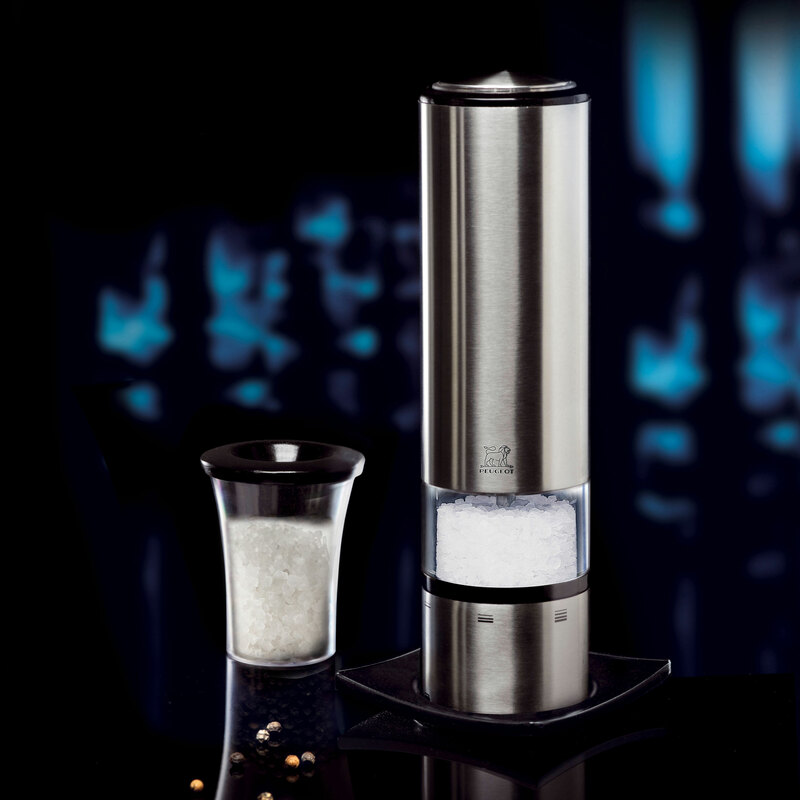 All this complements Peugeot's unparalleled salt mechanism and the patented u'Select grind adjustment.